Wei Deng is a bi-cultural and bi-lingual Chinese attorney in the JMBM Global Hospitality Group® and Chinese Investment Group™. 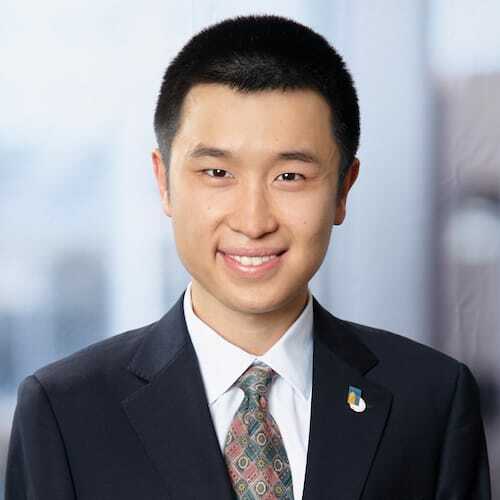 As a Chinese-speaking attorney, Wei is currently focused on transactional, financing, and other business matters, but previously worked on a number of significant litigation matters involving hotel management agreements, fiduciary duties, joint venture, fraud and other complex real estate litigation. At the reception given in honor of a high-level Chinese government delegation, Wei Deng gave a 45-minute lecture on topics including the American legal system (e.g. federal v. state law), the US real estate laws, pitfalls for Chinese investments in the US, etc. Presentation on development of cannabis law (including Farm Bill), cases involving growth of marijuana and taxation of dispensaries, use of hemp and CBD, future of medical marijuana, leasing of facility, distribution of inventories, etc. Prior to joining JMBM, Wei worked with an international law firm in China, where he was exposed to many aspects of China-US commercial transactions and EB-5 immigrant investor financing. He was heavily involved in a Fortune 500 company’s acquisition of a local enterprise. While in law school at the University of California Irvine, Wei externed at the Superior Court of California for the Honorable James Di Cesare. He was also the commencement speaker at the law-school graduation.